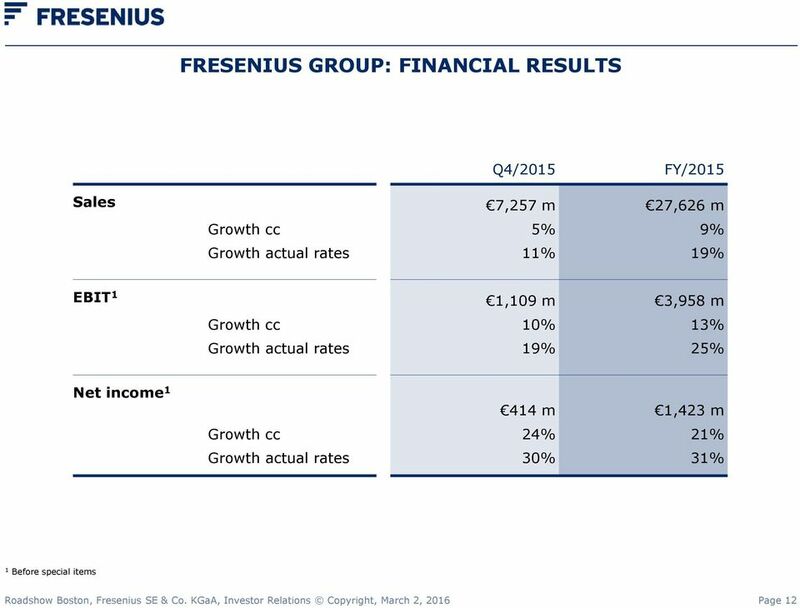 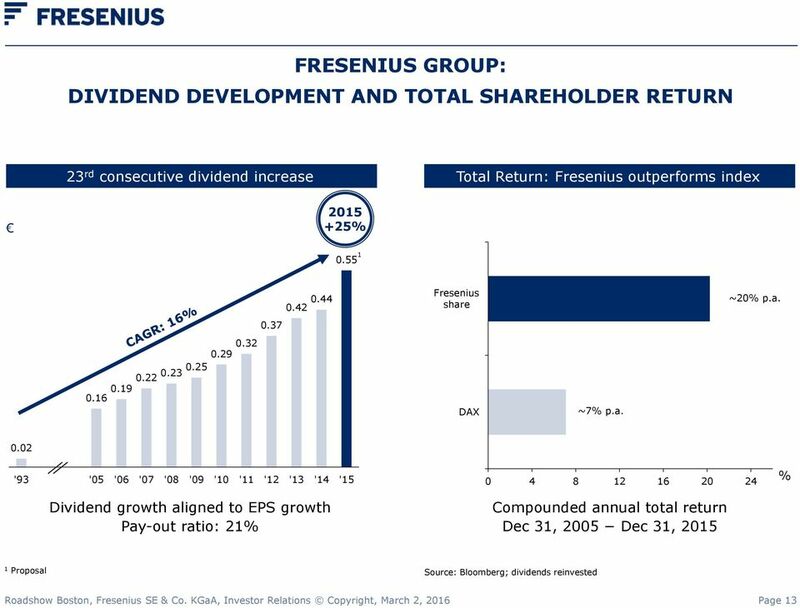 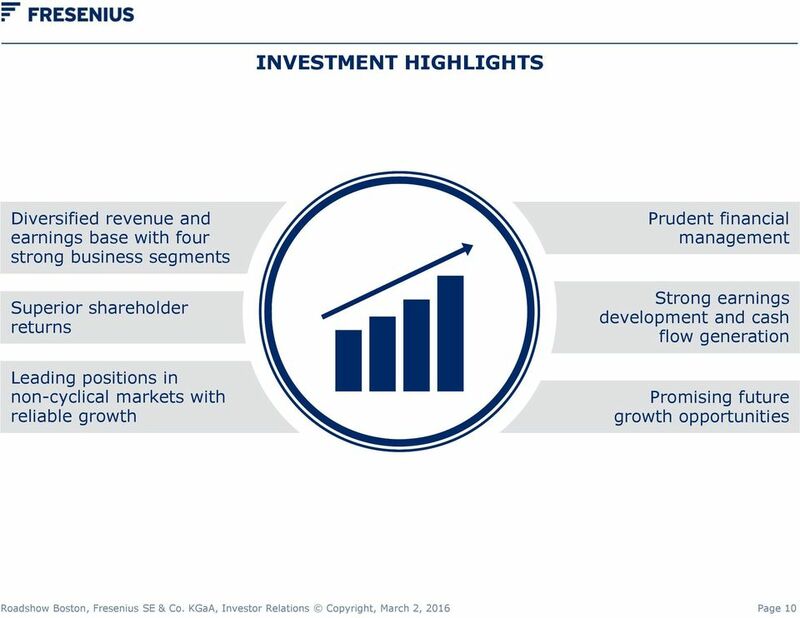 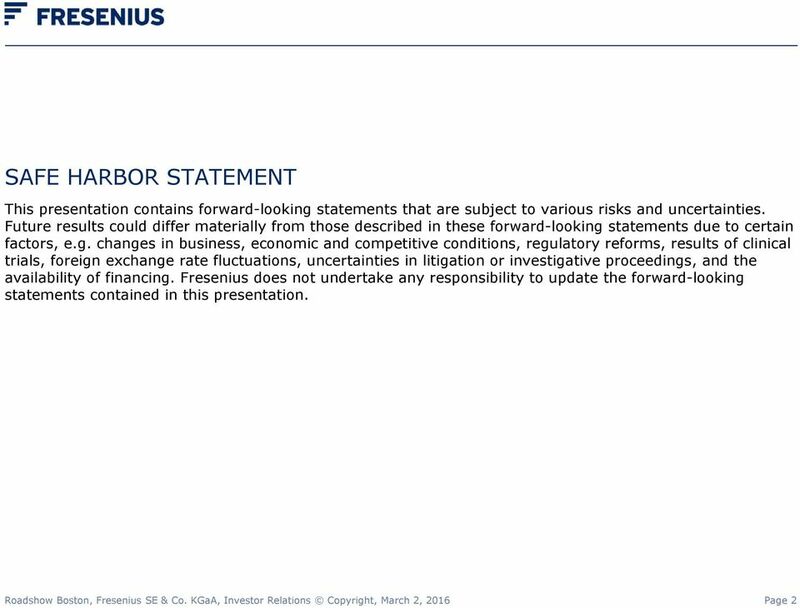 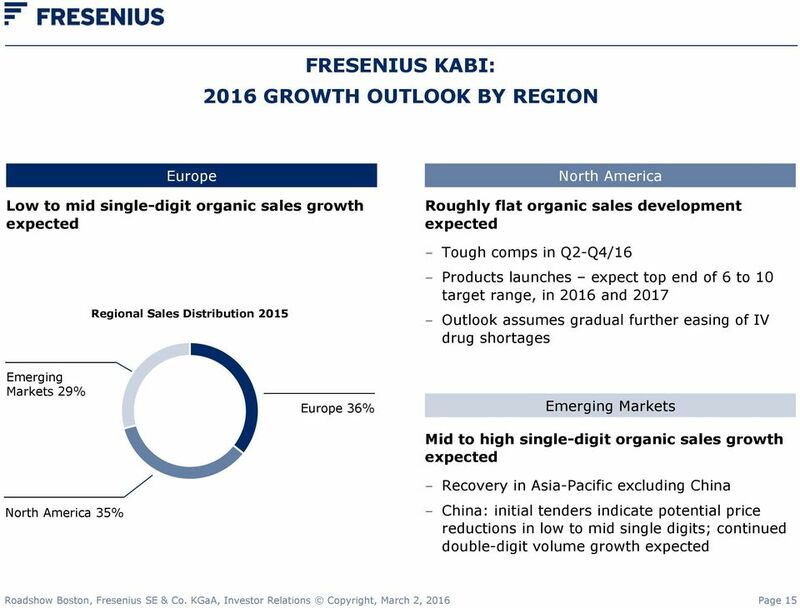 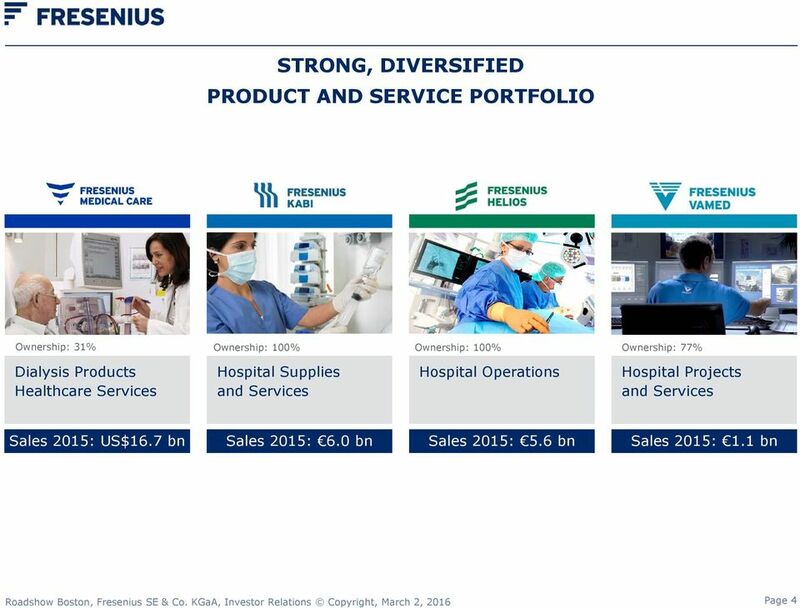 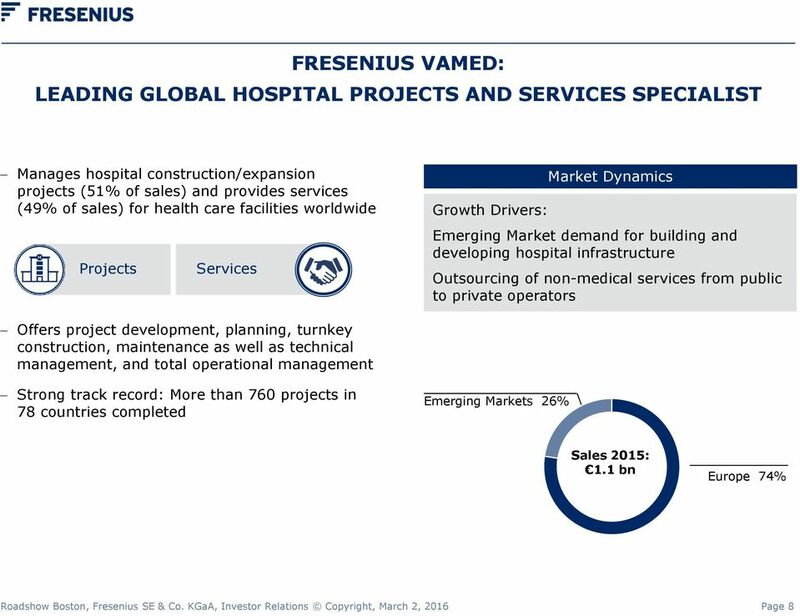 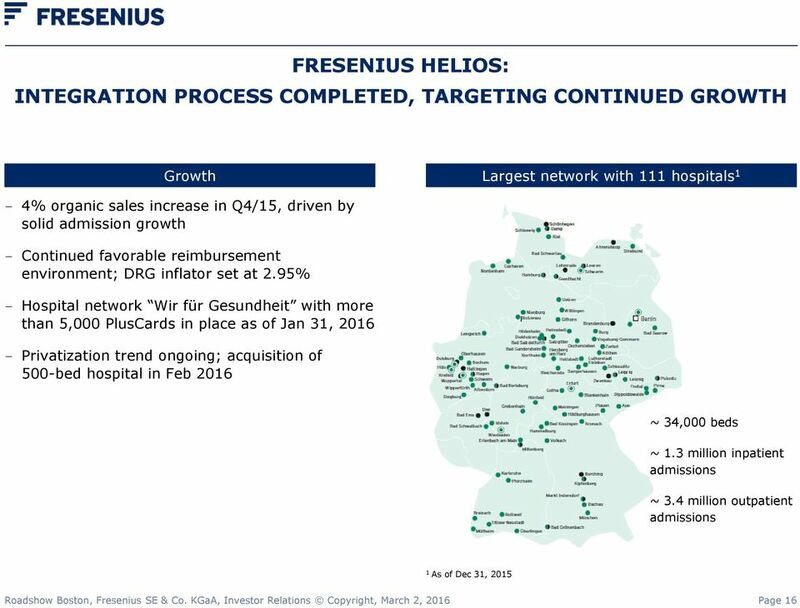 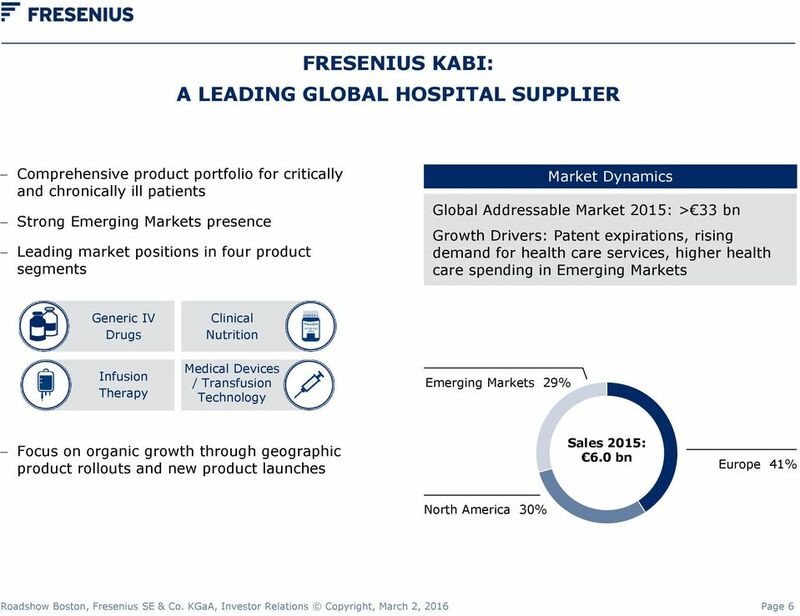 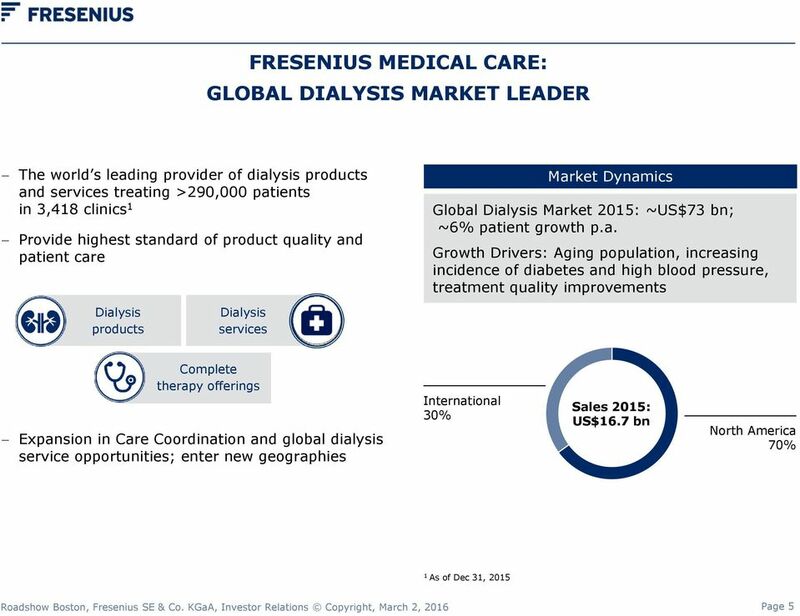 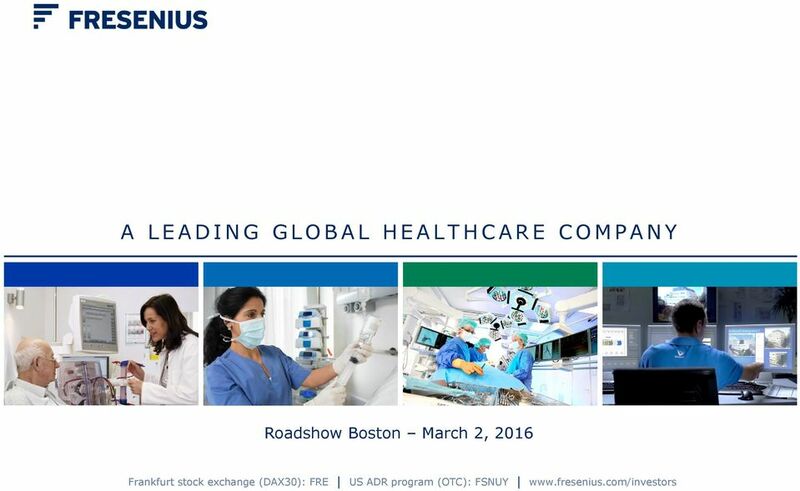 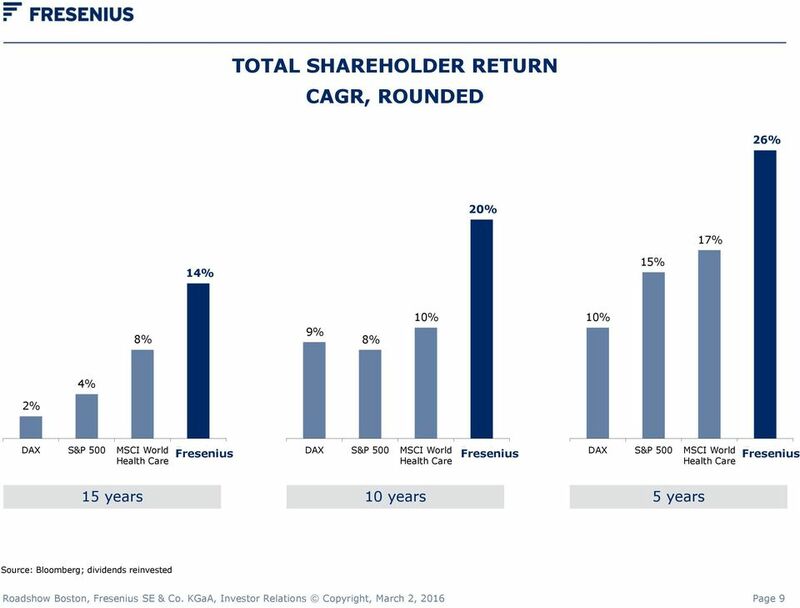 Download "A LEADING GLOBAL HEALTHCARE COMPANY"
A Leading Global Health Care Group JP Morgan Milan Investor Forum October 1, 2015 For detailed financial information please see our annual/quarterly reports and/or conference call materials on www.fresenius.com/ir. 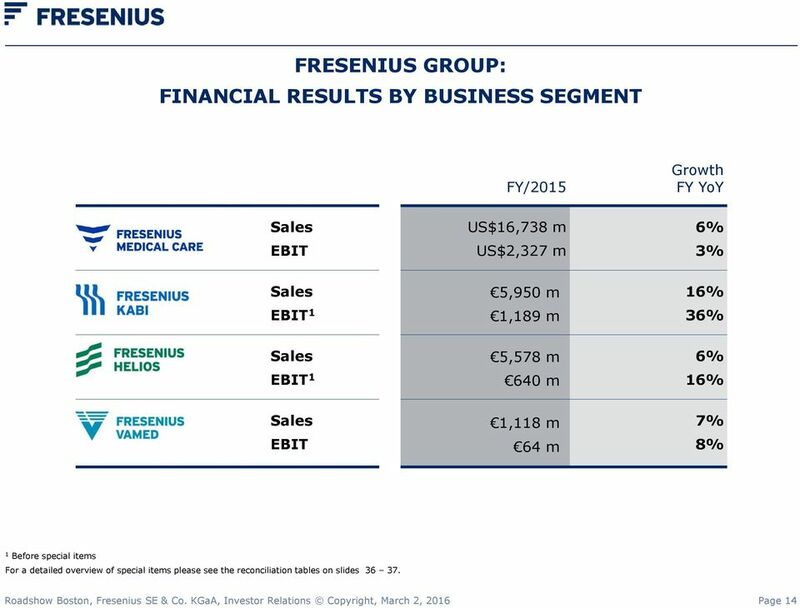 A Leading Global Health Care Group HSBC Healthcare Day, November 12, 2014 For detailed financial information please see our annual/quarterly reports and/or conference call materials on www.fresenius.com/ir. 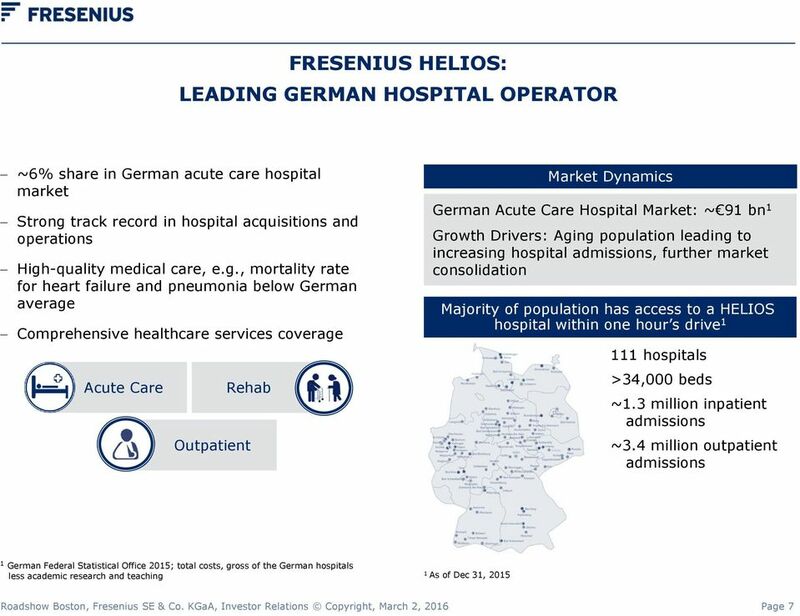 A Leading Global Health Care Group Commerzbank Sector Conference September 8, 2014 For detailed financial information please see our annual/quarterly reports and/or conference call materials on www.fresenius.com/ir. 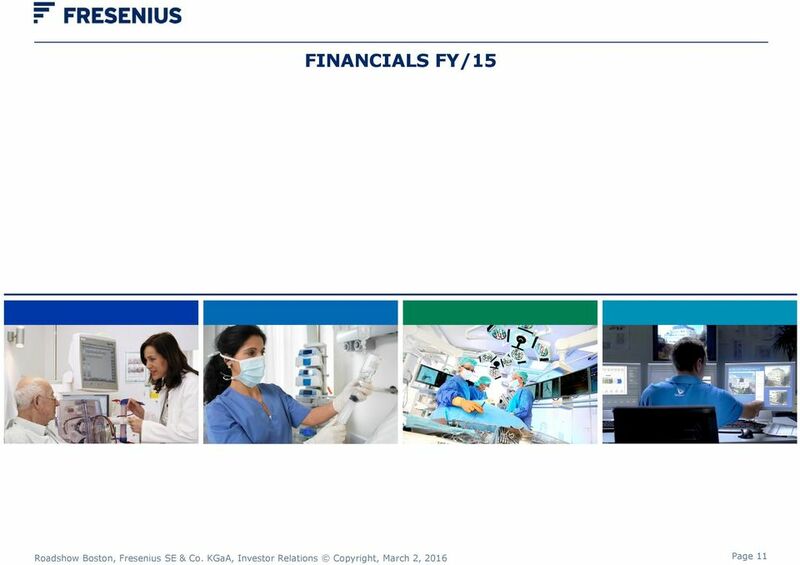 Health Care Worldwide Citi - European Credit Conference September 24, 2015 - London Safe Harbor Statement This presentation contains forward-looking statements that are subject to various risks and uncertainties. 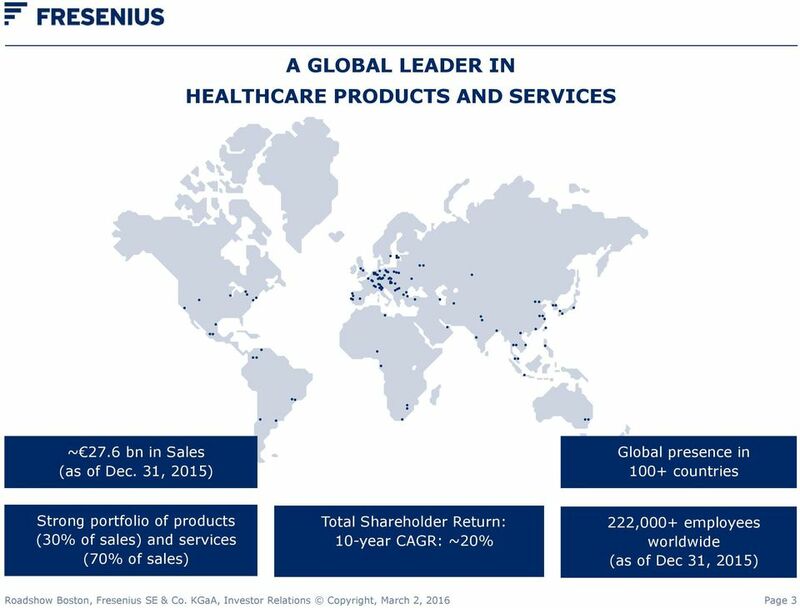 1 st December 2015 Analyst Conference Call Dr Wolfgang Büchele - CEO Disclaimer This presentation contains forward-looking statements about Linde AG ( Linde ) and their respective subsidiaries and businesses. 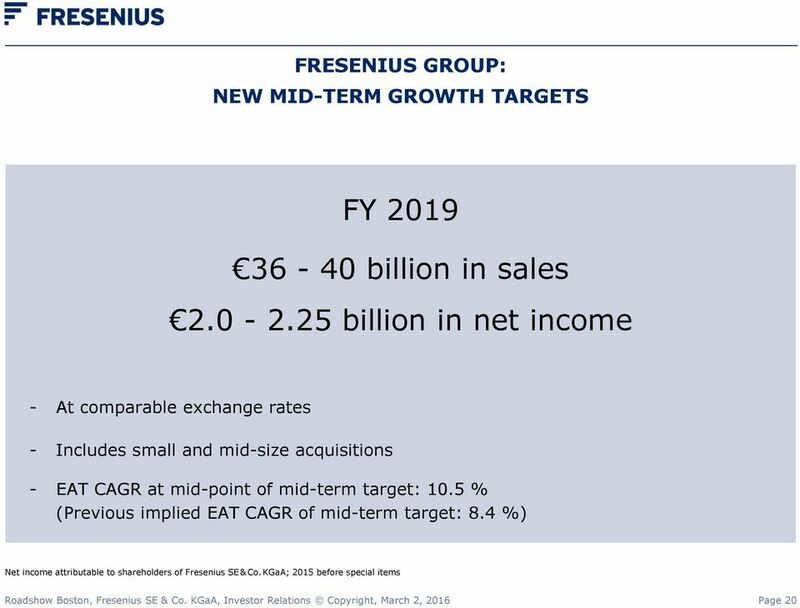 Annual General Meeting of Fresenius SE on May 12, 2010 Speech of Dr. Ulf M. Schneider, Chairman of the Management Board The spoken word has precedence. 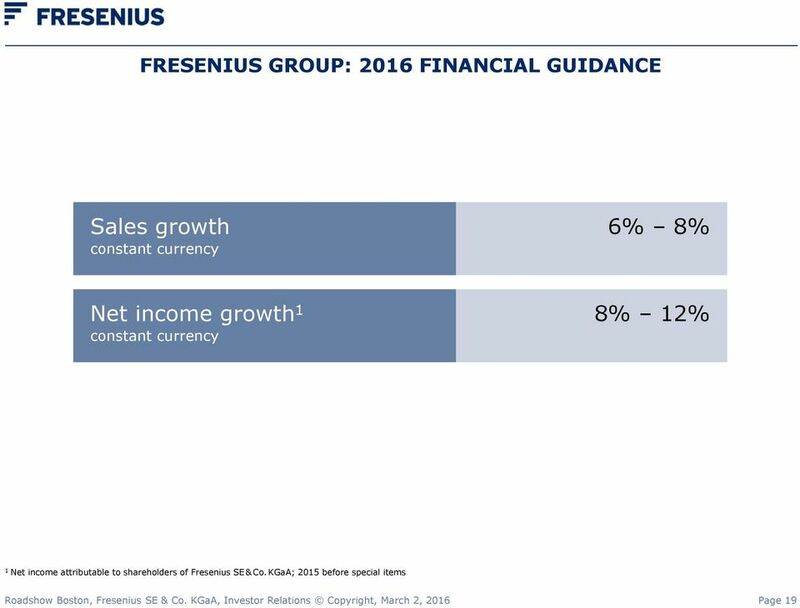 Chart: Welcome Good morning, ladies and gentlemen. 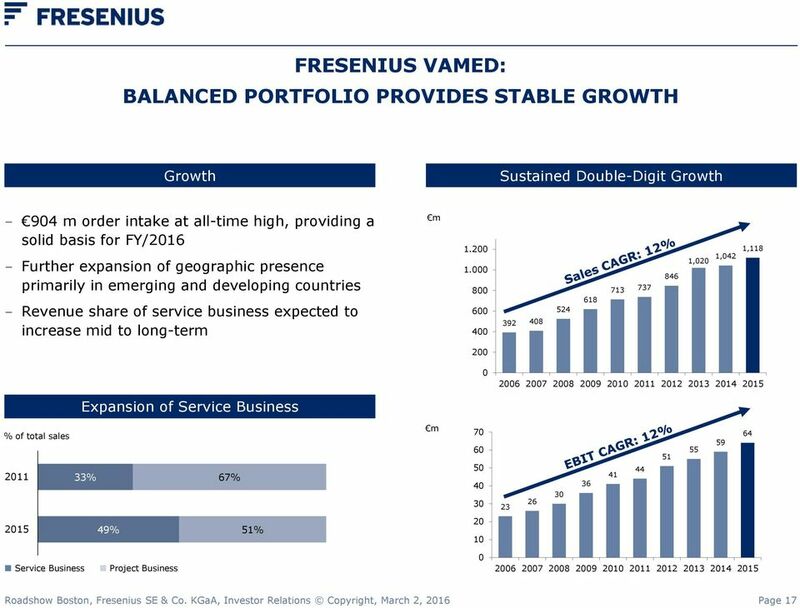 Accenture Reports Strong First-Quarter Fiscal 2017 Results. 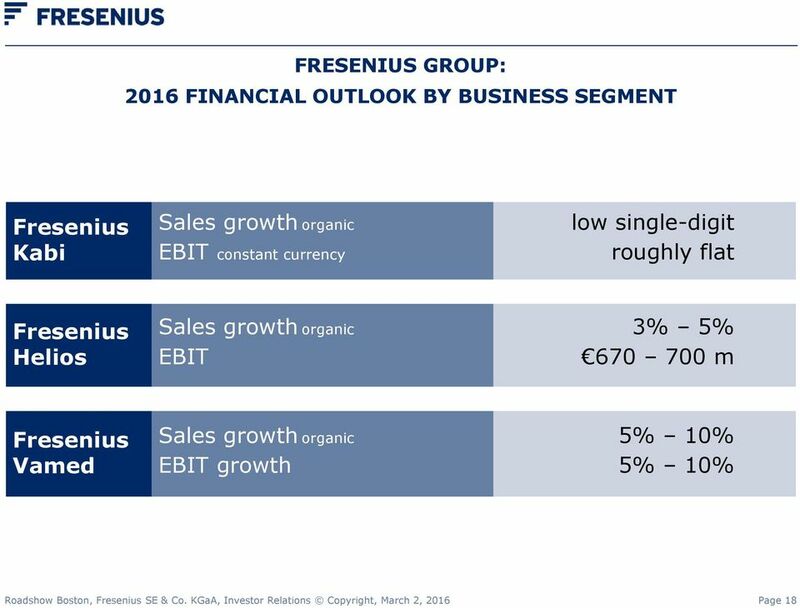 -- Revenues increase 6% in U.S. dollars and 7% in local currency to $8.